Today I did some surfing on the internet for Rogers Family obituaries. Here’s an interesting article I found on Albert Augustus Wells. Seems he Shot and killed his wife and then shot himself. 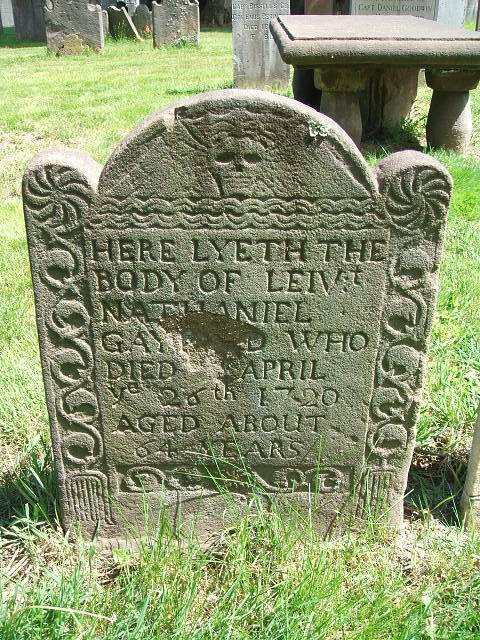 Here are some obituaries for the Rogers Family of New London County that I found that I’m not sure who they are. If you know who they are, I’d sure like to know. Here’s some obituaries for some folks I did know who they were. Todays CEMETERY OF THE DAY is……. 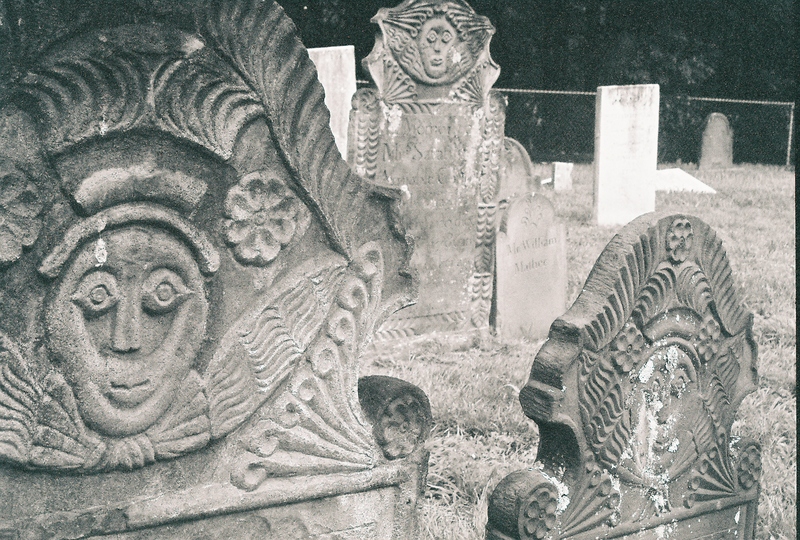 Palisado Cemetery, Windsor, CT (Hartford Co.)…..Palisado Ave (Route #159) Between Pierson Lane & Pleasant Street in Widnsor, CT. Once you drive in the main entrance, continue straight ahead and the stones are all the way in the back of the cemetery. They are easy to spot as they are table shaped. 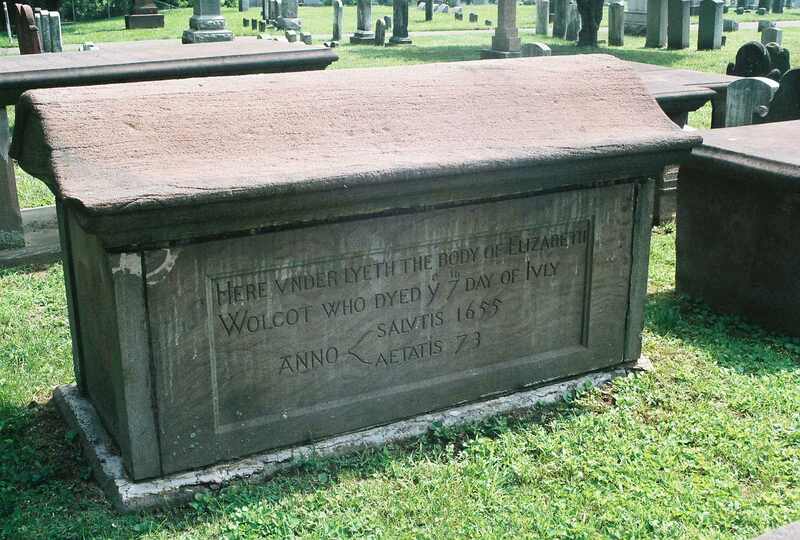 There are a lot of other Wolcott gravestones here but I am unable to figure out who they are. 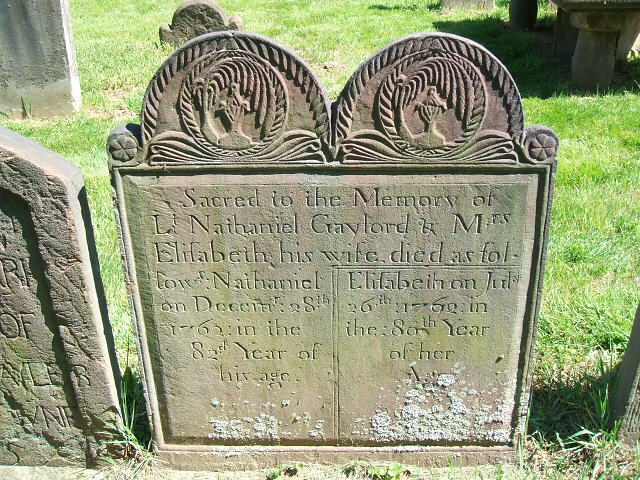 *Gaylord, Elizabeth Unknown(About 1680 – Jul 26, 1762) w/o Nathaniel Gaylord Jr.
OK, I’m copy and pasting in how I’m related to Old John Crandall. Here’s how it goes. Joe married Deborah Burdick1660-1737 Peter married Mary Babcock 1672-? Deborah married George Stillman II,1678-1760 Peter married Mary Burdick 1695-? Joseph married Ann Langworthy 1690-1773 Samuel married Hannah Clark abt 1747-? Joseph C. Crandall III 1716/7-1792 Jane Crandall 1765-? Joseph married Elizabeth Crandall 1717/8-1772 Jane married ? Here are a bunch of references to John that I’ve found over the years. 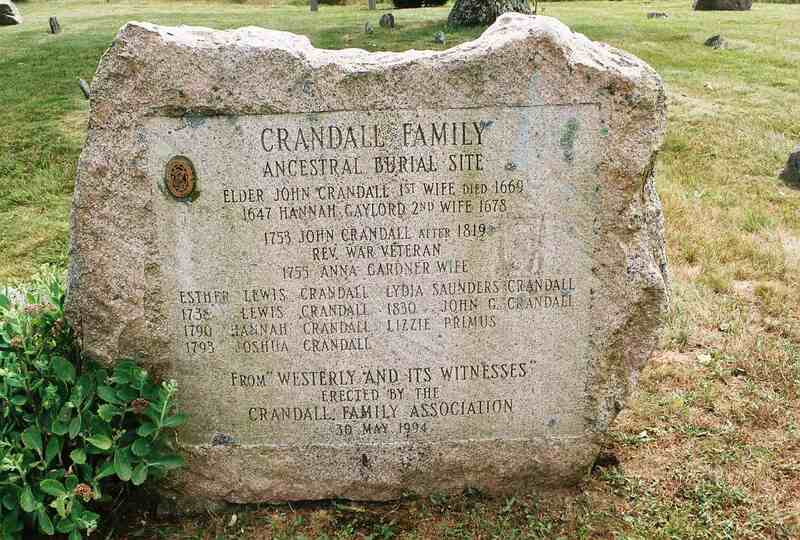 Reverend John Crandall the first American ancestor of the Crandall’s came from Wales to Boston, Mass in 1634/35. He was a Baptist minister and was among those that were persecuted in the Boston Colony and so fled to Rhode Island to find the freedom of thought denied them in Mass. 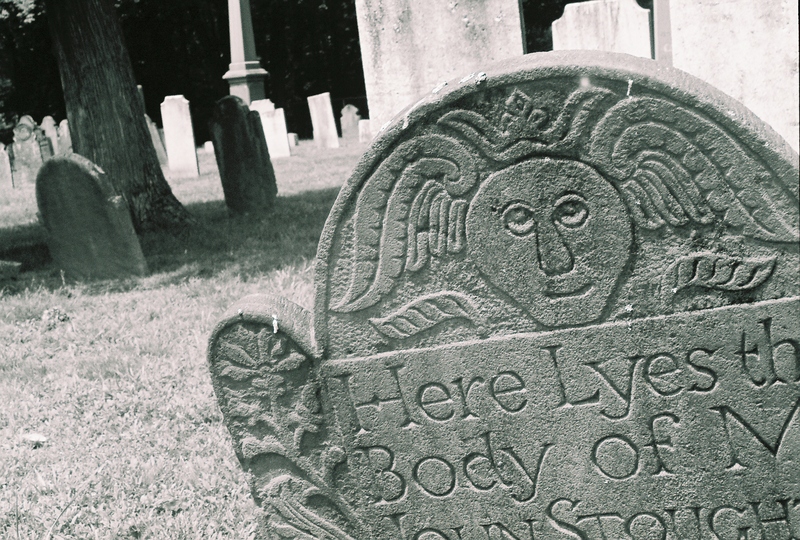 He settled first in Providence in 1637 and later in Westerly, R. I. where he became the first elder. On July 21, 1651 he and John Clarke and Obediah Holmes were thrown into prison in Boston for preaching and on July 31 he was sentenced to pay a fine or be publicly whipped. He and his followers were instrumental in the settlement of Westerly but later he and his family moved to Portsmouth to escape the Indians and there died in 1676. He was one of the first preachers of the old Seventh Day Baptist Church. Twice married, his second wife’s name was Hannah Gaylord and his children were John, Jane, Sarah, Peter, Jseph, Samuel Jeremiah and Eber. From this source came all the early families of the name in Rhode Island and Conn. as well as those that settled in New York. Pg 1115 of same book John Crandall appears at Newport R.I. as early as the year 1651 where he was associated with the Baptists. He subsequently became the first elder of that denomination at Westerly. He was a freeman in 1655, was commissioner several years 1658 – 1662 inclusive. 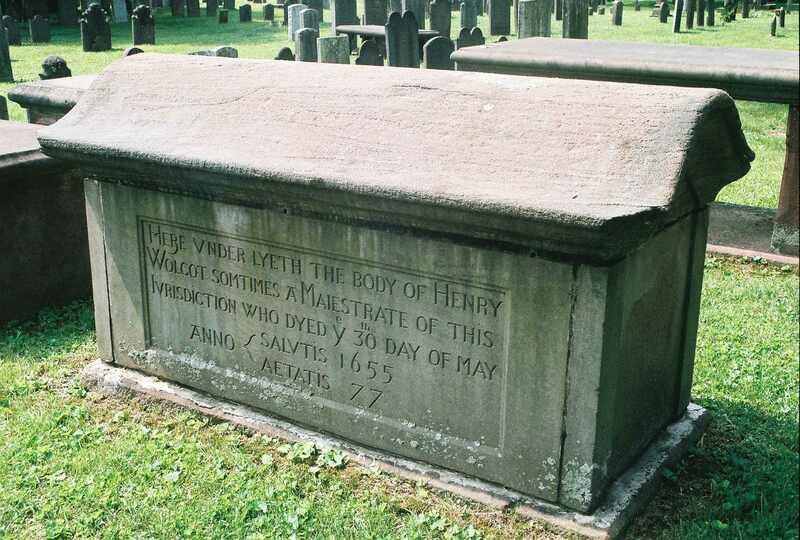 He had a half a square assigned to him at Westerly in 1661, was deputy in 1667 and again in 1670-71, He died in Newport having moved there on account of the Indian War. 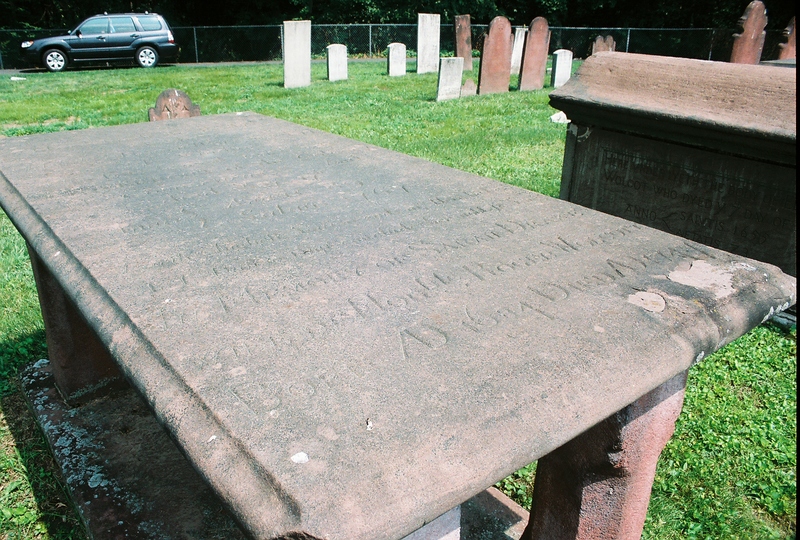 JOHN CRANDALL, Colonial pioneer, First Baptist Elder, Deputy Commissioner, and statesman of Newport and Westerly, Rhode Island, the head of the Crandall family in America, was born in Monmouthshire, England, on the line between England and Wales in 1612. His mother is supposed to have been a Scotch lady. He came to Boston within a very few years after the landing of the Pilgrims, in 1634. Several writers have ascertained that he was associated with the Congregational Church at Salem as 1635 and that “he was certainly living in Providence as early as 1637” and while there are many reasons for believing these statements correct and that John Crandall was a close associate of Roger Williams was one of the founders of Providence, unfortunately it seems impossible certainly to confirm them. Many of the original Providence records were early destroyed. The first valid documentary account of John Crandall in New England shows him to have been actively identified with the Baptist Church in Newport, July 21, 1651. 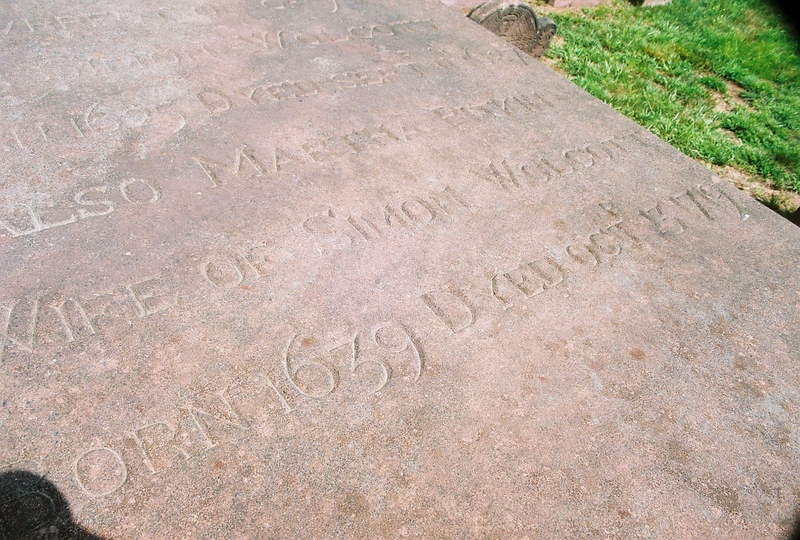 His name next is found, with that of Matthew West in the Freemen’s list of Newport, 1655. Elder John Crandall died before November 29, 1676 at Newport where he was sojourning on account of the Indian War (King Philip’s War). As early as 1635 Rev. John Crandall, who is believed to have been of Welsh ancestry, was living in Salem where, as elsewhere in the Massachusetts Bay Colony, there was at this time much opposition to all dissenters from the authorized tenets of the Puritans. John Crandall was the minister of the Salem church, but he adopted the opinions of the Baptists, which were very obnoxious to the Congregationalists, and in the autumn of 1635 he was dismissed as pastor. As did so many others of the early Baptists of New England he determined to settle in the Narragansett country. The Indians proved friendly and he obtained from them a grant of land. He has been called one of the founders of Providence. He was certainly living in Providence as early as 1637. John Crandall was one of the original purchasers from Chief Sosoa of Narragansett of the Misquamicutt tribe, of the land comprising Westerly, from which Hopkinton was later formed. The townships of Westerly, Hopkinton, Charleston and Richmond, as they now are, were a tract called by the Indians Misquamicutt and on August 27, 1661 John Crandall was one of the nine signers of a petition to the Court of Commissioners for the Colony of Providence Plantations, in session at Portsmouth, for the purchase of that part of the tract which became Westerly. 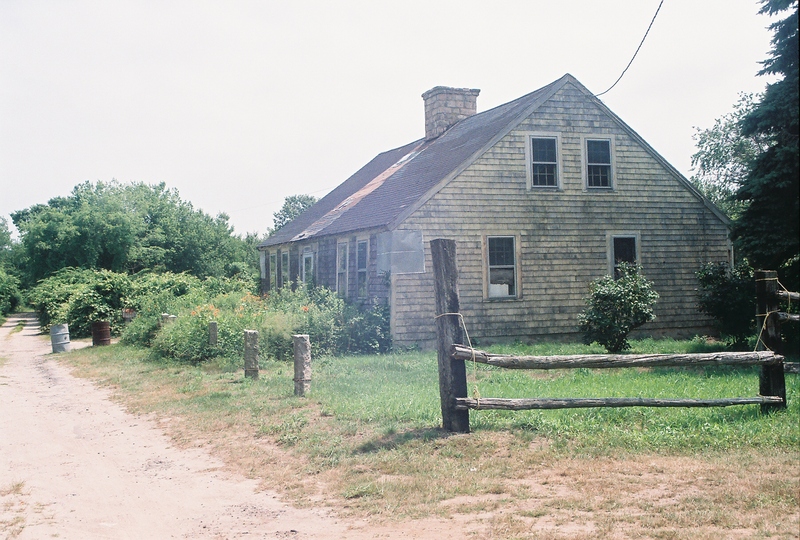 His house was near Burdens Pond and a part of it now stands, as one room in the homestead occupied by lineal descendants, of the ninth and tenth generations. 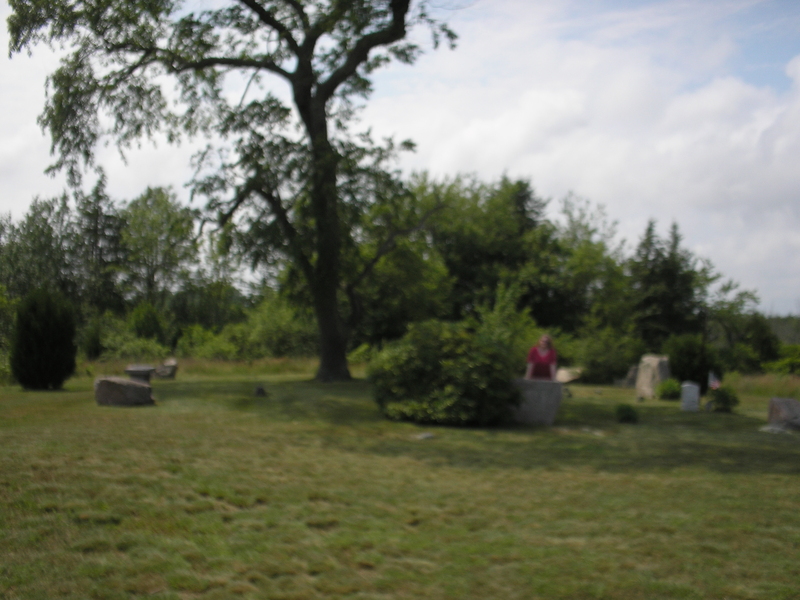 Across from the house in the old orchard field is the original cemetery, in which twenty seven bodies are buried. There are three rows of graves containing nine bodies each. These rows of graves run parallel with a swamp near by. Elder John is buried in the row nearest the swamp in the end grave to the left as one stands facing the swamp. Next to his grave is that of his son John. 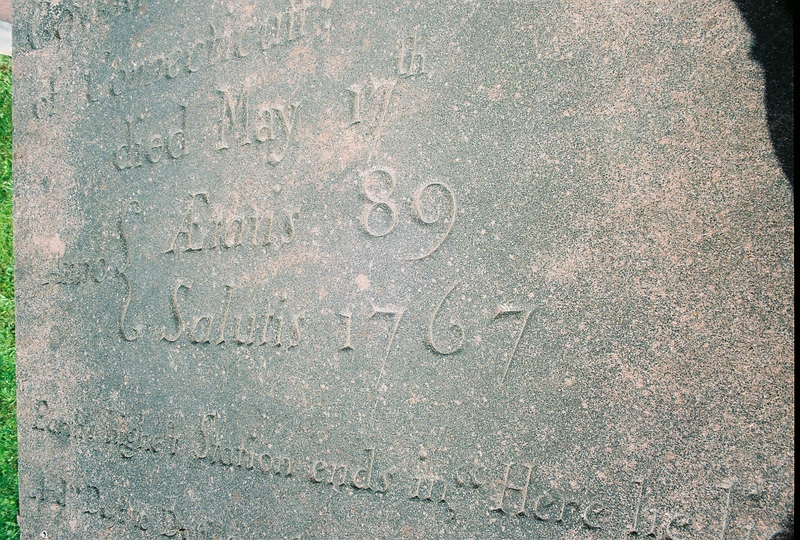 Each of the twenty seven graves is indicated by a field stone some 14 inches in width, appearing four to eight inches above the ground set at the head while a smaller stone marks the foot of the grave. There is no inscription on any of the stones. On the 6th day of October 1932 A. Julian Crandall of Ashaway, Rhode Island and Rev. Wm. S. Crandall of Binghamton, New York, standing in the little historical burying ground, agreed that a suitable marker should be placed thereupon. They further concluded that a large native field granite boulder with a bronze plaque properly lettered, embedded in the same would be most suitable. The two third cousins resolved that they would sponsor the project. He was the first Baptist Elder at Westerly and held a number of public offices at various times. In 1658, 1659, 1662, 1663 he was a Commissioner, and was a Deputy to the General Court in 1667, 1670 and 1671, representing Westerly during the two latter terms. He had lived prior to his settlement at Westerly, at Newport. There was much dispute between the colonies of Massachusetts and Connecticut as to their jurisdictions, and especially as to jurisdiction over grants in Rhode Island, which however, had been confirmed by a royal charter to their purchasers. A claim was made in 1662 by Connecticut of land reaching beyond Misquamicutt to Narragansett Bay. 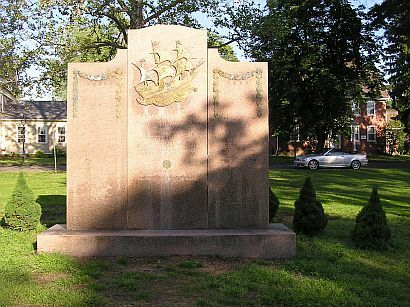 On October 17, 1667, a letter was sent by the Connecticut authorities, to those of Rhode Island complaining that John Crandall had taken possession of about a square mile of land, which he had laid out to his sort, on the west side of the Pawcatuck River. On May 14, 1669 he and Joseph Torrey were appointed commissioners for the purpose of conferring with the Connecticut authorities concerning these land disputes. Certain individuals lent thirty five shillings to the Colony of Rhode Island in order to pay the expenses of Mr. Crandall to Connecticut. 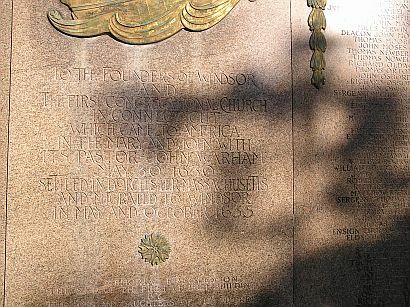 A few months later, on November 18, the governor and assistants of Connecticut sent a letter complaining that John Crandall and some others had appropriated a large tract of land in the township of Stonington, Connecticut. A reply to this complaint was sent by the Town of Westerly on March 11, 1669, signed by John Crandall and Tobias Saunders, in which all illegal seizure of land or other offense against the Colony of Connecticut was denied, and a counter charge was made; “but we are very sensible of great wrongs that we have sustained by them for many years.” In 1671 the dispute grew so serious that Mr. Crandall, with others, were actually carried off by the Connecticut authorities and was imprisoned at Hartford. 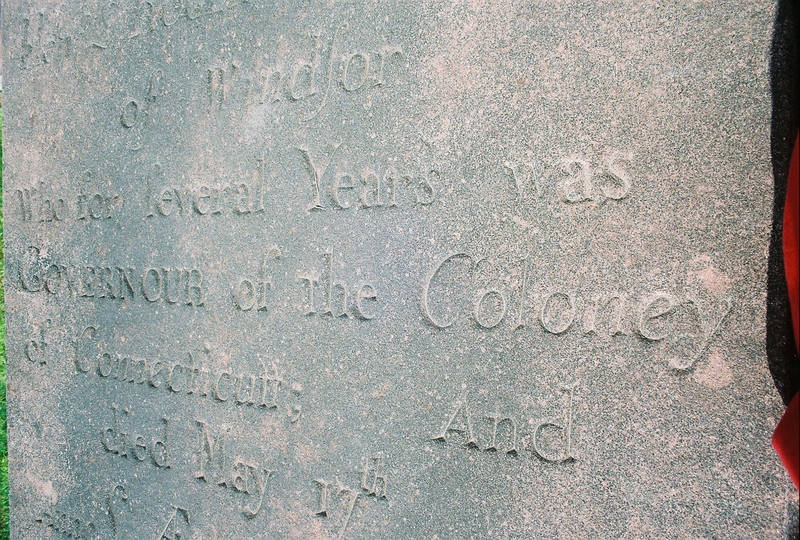 On May 2, of that year the Rhode Island assembly advised him not to yield to Connecticut’s claims and assured him of the Colony’s support and that his financial losses would be borne by the Colony. The Reverend John Crandall was twice married. 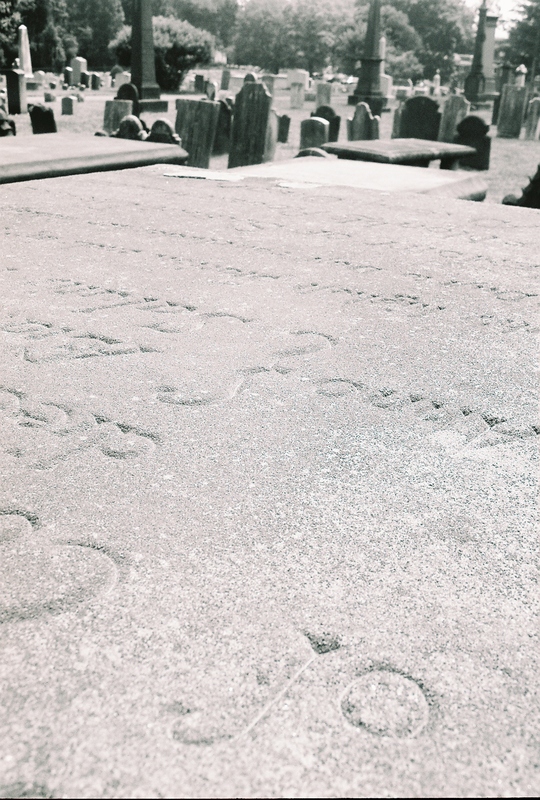 The name of his first wife is unknown, but she died in 1670 and was buried on August 2 of that year. He married, second, Hannah Gaylord. John Crandall was early associated with the Baptists, at Newport, subsequently becoming the first Elder of that denomination at Westerly. 1651, July 21. 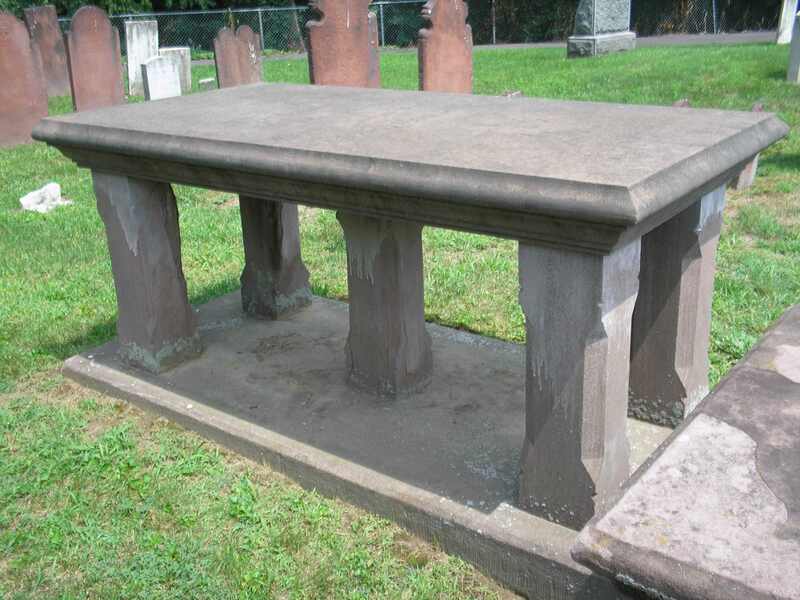 He, with John Clarke and Obediah Holmes, “being the representatives of the Church of Newport, upon the request of William Witter, of Lynn, arrived there, he being a brother in the Church, who by reason of his advanced age, could not undertake so great a journey as to visit the church. William Witter lived about two miles out of Lynn and the next day being Sunday, they spent in religious services at his house, and were there apprehended by two constables at the instance of the Massachusetts authorities, while Mr. Clarke was preaching, and the next morning they were sent to prison in Boston. For the dire offense of holding this little meeting, and on other frivolous pretexts Obediah Holmes was fined, imprisoned and whipped. 1651, July 31. He was sentenced to pay a fine of 5 pounds or be publically whipped. He was released from prison upon his promise of appearing at next court. 1658; 59; 62; 63 Commissioner. 1661, August 27, he and eight others signed a letter of the Court of Commissioners of Rhode Island, concerning a tract of land at Westerly, that they and others desired approbation and assistance of Rhode Island in settling upon. 1661, September 9. He had half a share at Westerly assigned him. 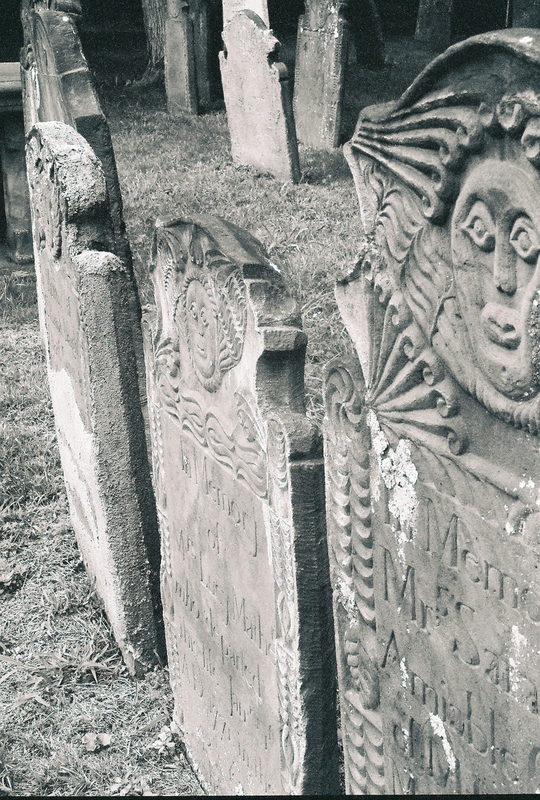 1667, October 17, Westerly. He was complained of in a letter from Connecticut to Rhode Island authorities, for having come on west side of Pawcatuck River and laid out about a mile square of land to his son. 1669, May 14. He and Joseph Torrey were appointed Commissioners to treat with Connecticut relative to jurisdiction of lands. The sum of 35 shillings was lent to the Colony of Rhode Island by individuals for John Crandall’s voyage to Connecticut. 1669, November 18. A letter was sent him by Governor and Assistants, of Connecticut, complaining that he and others had appropriated a great parcel of Stonington township, and seeking for satisfaction. 1670, August 2. 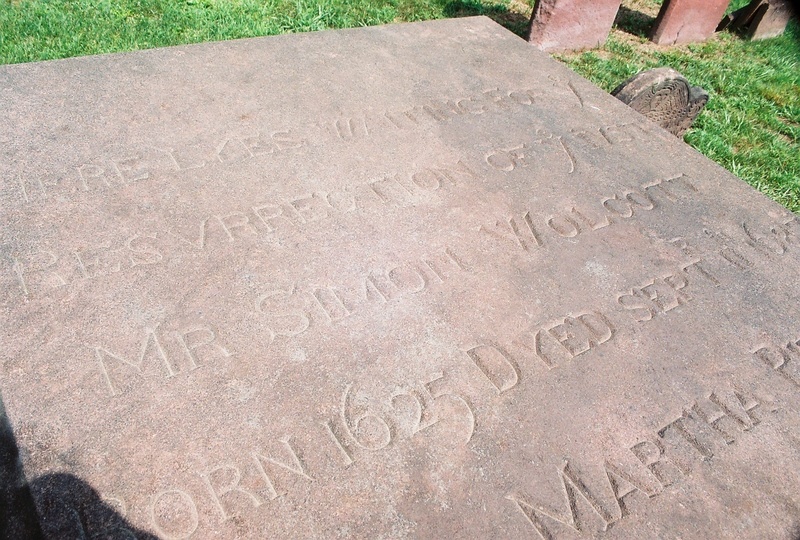 His first wife was buried. 1670, 1671. Deputy from Westerly. 1671, January 30. Bills were allowed by Assembly, for hire of a boat to go to Narragansett with Mr. John Crandall Sr. in the year 1670 and for hire of Sarah Reape’s horse for use of Mr. John Crandall to go to Hartford. 1671, May 2. He, having been “as is asserted” apprehended and now is in durance, by the Colony of Connecticut and having desired the advice of the Governor &c. of Rhode Island whether to give bond or abide imprisonment, the Colony will bear his charges and endeavor to justify his actings therein. 1671, May 6. He was allowed 20 shillings, to bear his charge to Connecticut. 1675, January 23. In a letter from Ruth Burdick, to her father Samuel Hubbard, of Newport, she says, “Brother Crandall hath the ague and fever still, and have been but little amongst us this winter, Sister Crandall is brought to bed with a son, and is in a hopeful way.” (Ruth Burdick’s daughter Deborah (Samuel Hubbard’s granddaughter) later married Elder John Crandall is son (by his first wife) Joseph. He died in Newport, having moved there on account of the Indian War. 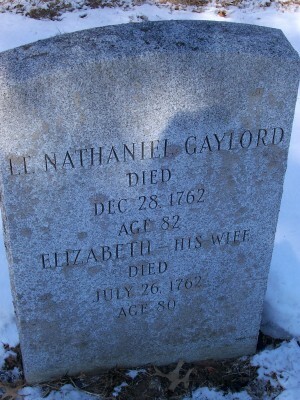 His second wife was Hannah Gaylord, born 30 Jan. 1647, and probably was daughter of William and Ann (Porter) Gaylord, of Windsor, Connecticut. 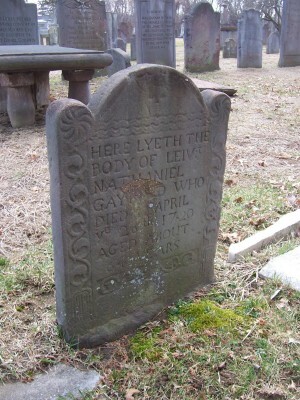 The said Hannah married a Crandall as is shown by the settlement of her brother Hezekiah Gaylord’s estate in 1677.
colonies, there occurred an exhibition of Puritan intolerance which must have obliterated what little friendship there was left. temporal power, repress those who dared to worship God in their own manner. Bigoted as they were, they could not heed Clarke’s prophetic warning that the “forcing of men in matters of conscience towards God to believe as others believe, and to practise and worship as others do, cannot stand with the peace, liberty, prosperity and safety of a place, commonwealth, or nation”. 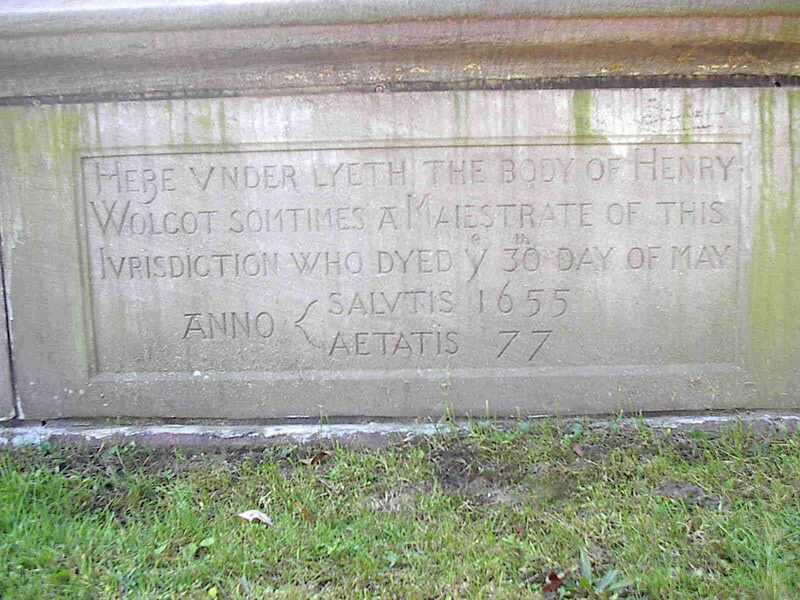 1651 July 21 – He, with John Clarke and Obediah Holmes being the representatives of the Church or Newport, upon the request of William Witter, of Lynn, arrived there, he being a brother of the Church who be reason of his age could not visit the Church. William Witter lived two miles from Lynn and the next day being Sunday they spent in religious services at his house and were apprehended by two constables at the instance of Mass. authorities, while Mr. Clare was preaching and the next morning they were sent to prison in Boston For the dire offence of holding this little meeting and on other frivolous pretexts, Obehiah Holmes was fined and imprisoned and whipped. Although the Congregationalists had renounced the forms of the Church of England, they insisted that all should follow the Congregational rules of conduct. Sixty people were excommunicated from the church. There were too many to banish, but they were forbidden to bear arms. They were not the only ones with whom the Boston authorities had to contend. A small group on Noodles or Noddles Island, in what is now East Boston, had formed a Baptist Church. They were a branch of the church formed some years before in London, and held meetings in Bell Lane, Smithfield. The Baptists and Quakers were outlawed in 1644. Whatever chances there might have been to compromise were lost when Winthrop died in 1649. The next year Endicott banned all churches except the Congregational. 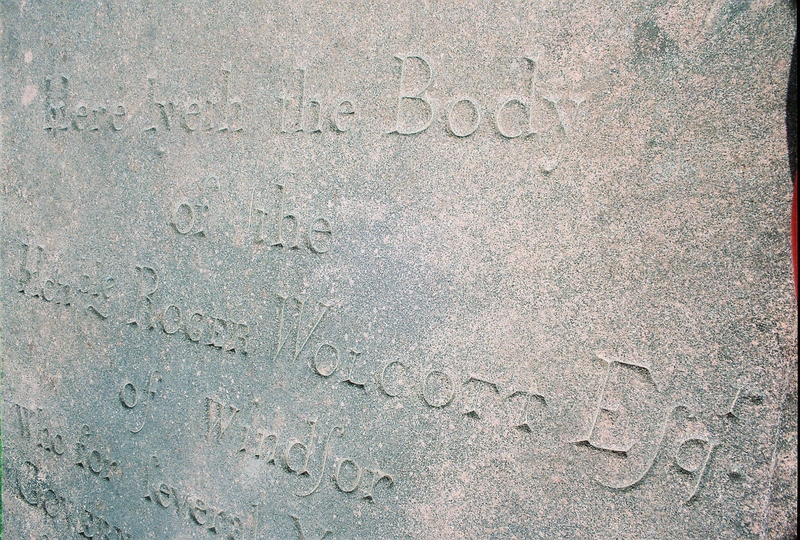 Roger Williams had moved across the Sekonk to settle Providence. In 1638 other Baptists settled on the north end of Aquidneck Island. Three of them, John Clarke, John Crandall (Elder John Crandall) and Obediah Holmes, went to visit an aged brother, William Witter, living in Swampscott outside of Lynn, to preach to him and his family. The three were arrested and brought to court. Cotton charged that the enormity of the crime, denial of infant baptism, would overthrow religion and the government, and was a capital offense. He argued that the prisoners were self-murderers. Governor Endicott pronounced the death sentence, but changed it to whipping or fines. Holmes’ fine was 30 Pounds, a ten years’ income for a person on relief. Clarke’s fine was 20 Pounds and Crandall’s 5 Pounds. Clarke proposed that the three of them debate with three Boston ministers, to which Cotton agreed. However, the three ministers could not agree on their arguments, so the debate did not take place. Without his knowledge or consent, some of Clarke’s friends paid his fine and he was released. Holmes was whipped unmercifully and could not rest, except on his hands and knees for some weeks. When Holmes was untied from the whipping post, a Mr. Hazel, cousin of Samuel Hubbard, shook his hand. Hazel was so severely beaten because of this handshake that he died at the home of a friend in Boston. News of the baptism of these young men into the Anabaptist faith by Mr. Crandall, at their father’s house, increases the com­ment and excitement already started in the town. The minister, Mr. Simon Bradstreet, expresses a hope that the church will “take a course” with the Rogers family. The Congregational churches at large are greatly alarmed at this startling innovation in Con­necticut. It appears from this letter that Elder John Crandall had already been in New London witnessing for the truth, that he had baptized and received into fellowship John and James Rogers and an Indian named Japheth, that he had been threatened by the authorities, that there were others who were interested, that those received into fellowship had been to Westerly twice, joining with the Sabbath-keepers there in the celebration of the Lord’s Supper, and that it was desired that some one be sent from Newport to New London to carry on the work already commenced. The Newport church responded at once to the request and Mr. Hiscox, Mr. Hubbard and Joseph Clarke were sent this same month. 1669, May 18: John Crandall appeared on “A List of the free inhabitants of the towne of westerle” as the owner of lot #36 in the Westerly purchase. From: Colonial Baptists: Massachusetts and Rhode Island, By: Edwin S. Gaustad [Ed. ]: Arno Press, New York, 1980. p 119. *This is a pun referring to the character “Grendel” in the Anglo-Saxon epic poem Beowulf. John Crandall, Joseph Torrey, Jr.
From: Elder John Crandall, the Miller, By Judith C. Harbold, November 2000…This article appeared in the Dec 2000 issue of the C.F.A. newsletter. We can learn some things about our ancestors by looking into the lives and writings of people who lived in the same places at the same time. Thomas Minor was a contemporary of our immigrant ancestor, John Crandall (1617/8 – 1676). They lived in the same early Colonial area and certainly knew one another. And, fortunately for us, Thomas Minor wrote a diary. Thomas Minor came to New England in 1629 from Somerset County, England. First in Salem, he also lived in Charlestown and Hingham, Massachusetts. After a grant of land by the General Court of Massachusetts, a group of men including Thomas Minor founded a plantation in the Pequot territory, now New London, Connecticut. Later, about 1653, Thomas Minor made his permanent homestead in “Quiambaug,” in the town of Stonington, Connecticut. It was then he started his priceless diary, which he continued until 1684. Later Thomas’s son Manasseh also wrote a diary from 1696 to 1720. Calendars and almanacs were not readily available and the diaries served to mark the days and briefly record events of family and community interest. We learn when Thomas sowed “turneps,” visited with Mr. Winthrop and less famous friends, when his wife fell off her mare and when she fell out of the “canoow.” We learn of marriages, births, baptisms, deaths of family and associates. He tells us of snowstorms, floods and stolen shirts. Thomas Minor mentions the price of land, tax rates, town meetings and murder investigations. This selection of events is meant to supplement information about the family of John Crandall, a first settler of Westerly, Rhode Island, however the entire diary is fascinating and informative. 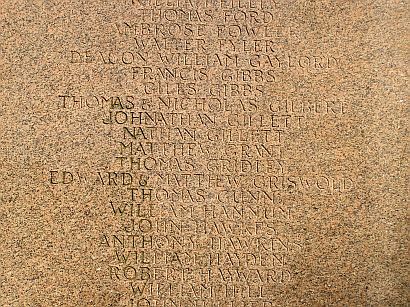 Thomas Minor is an ancestor of many of us who are also descendants of John Crandall. 1667 July…..”saterday the .20 day I was at Crandals mill wensday night 24th the great land fflood” p. 80. 1667 August…..”wensday the .7. I was at mr Stantons as I went to Crandalls” p. 80. 1668 July…..”wensday the 8. I was at Crandals mill” p. 85. 1668 August…..”the ffifte day wensday I was at Crandals mill saterday the .8. Crandall and his wife was heare” p. 86. 1669 December…..”wensday .29. I was at Crandals mill” p. 93. 1670 July…..”thursday 21. mr Crandale was heare I had fouer loads of oats” p. 97. 1670 August…..”The 2 day of Agust 1670. Crandals wife was buried” p. 97. 1671 January [new style dating]…..”The .10. day of Januarie 1670. the Court about Crandall and lewis was at mr stantons house.” p. 100. 1671 April…..”the .8. day saterday we wer Laying out Land at the Est side poquatuck River” p. 102. 1671 May…..”munday .29. the Towne meeting wenesday 31. we wer at Crandalls and sanders to serve Summons.” p. 103. 1671 July…..”The 24 day wensday samuell was at Crandals mill::” p. 104. 1673…..”wensday .24. I was at Crandalls mill” p. 119. 1681 July…..”the 30 day I was at Crandalls mill” p. 167. 1681 August…..”Tusday .23. I was at Crandals mill” p. 168. 1682 September…..”the .7. day I was at Crandals mill” p. 174. 1716 June, Manasseh Minor’s Diary…..”22 I went to Crandals mill” p. 131. There was only one Crandall family in the New England Colonies in the 1600s. We know that the first John Crandall in Westerly spent a good deal of time on civic and religious activities, and all colonists participated in farming, but did our ancestor have another profession? What do you think? Was Elder John a miller? Who carried on the mill after Elder John died? John Crandall’s first son, John Crandall was born about 1649, and would have been 18 or 19 years old in 1667, the first time Thomas Minor mentioned Crandall’s mill. Furthermore, we know from Land Evidence records that John2 became a blacksmith. Thomas Minor mentions Crandall’s wife in 1668 and 1670. John2 was not married until 1672. The other sons would have been 16 years old and younger. The mention of Crandall’s wife’s burial date is certainly John’s first wife. It seems likely to me that if there were more than one Crandall in his writings, Thomas Minor would have distinguished them in various entries as has been seen in certain public records where the son John is listed as Junior. There is a Rhode Island historical marker on Route #3, between Westerly and Ashaway, at the intersection of Chase Hill Road. It marks the location of an early ford of the Pawcatuck River, the first mill dam and grist mill. It is at the foot of a knoll where Peter Crandall, son of Elder John, in 1680, donated land for the first church in that area, a Seventh Day Baptist Church. 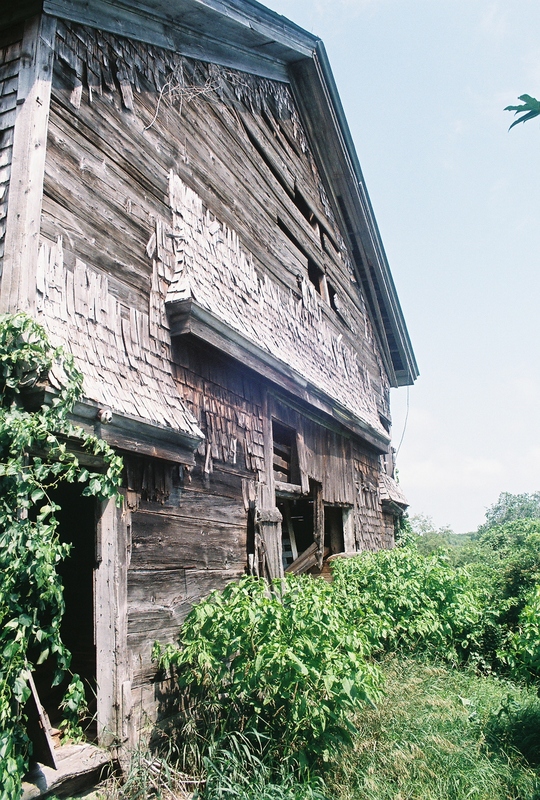 There are many references in the early town records of Peter Crandall’s mill. All the evidence indicates that it could be only Elder John who owned and operated the mill. He was not, of course, “Elder” then. But that is another story. The entries above which do not mention a mill, show involvement that both John Crandall of Rhode Island and Thomas Minor of Connecticut had in the historical boundary disputes between the two states. There are many other entries on that subject. Again, that is another story. Reference: The Minor Diaries, Stonington, Connecticut; Thomas 1653-1684; Manasseh, 1696-1720. Originally published in 1899. [Re] Published by John A. Miner, Boxborough, Massachusetts, 1976. Note: The scarcity of punctuation and run-on sentences make it difficult to distinguish exact dates in some cases. For some generations, the Babcock name was spelled Badcock. To the Honorable Gentlemen of the Court of Commissioners ,assembled together in his Majesty’s name for the colony of Providence Plantations at Portsmouth the 27th of August, 1661. Please ye honored Gentlemen, there being an opportunity or presentment of a certain piece or tract of land, lately discovered or made known; which tract of land lyeth in a situation in the furdest or remotest corner of this Colonies jurisdiction, called by the name of Ascomicutt: which tract of land is fairly promised or ingaged to a sartaine number of adventurers upon the design of purchase of it: which adventurers are members of this Colony and well wishers thereto: who desire to do nothing that shall prove prejudicial to the interest and honour of the Coloneys privileges or advancement : but are now confronting the adversaries of the Colony : which by a species of intrusions are seeking to make inroads upon our privileges of Colonies jurisdiction; the premises considered, your petitioners are bold under correctin to pray in ease we can make the adversarie: which is both to the colony and us to retreatt, which we question not: in point of right and title from the natives: therefore we being willing to proceed in all poynts of loyallity that may suit with the advance and honor of the colony, we humbly crave your favorable approbation countenance and assistance to us in the settleing of a plantation on Towneshepe: in or upon the above said tract of land called by the name Aacomieutt, which number of persons may probably extend to the number of 80, 40 or 50 or thereabout which are thence to inhabit, thearof many of an persons constrained to make inquisition and seek out for land for a comfortable livelyhood. So honored gentlemen if it be your pleasure to grant your petitioners request or petition as we are, so we subscribe and remain your humble petitioners and servants to our power for ourselves and in the behalf of the rest of our company. WILLIAM VAHAN, + his mark. JAMES ROGERS, I B his mark. First, that we whose names are abovewritten, do give, grant, ratify and confirm the same privileges with ourselves, unto all those names are underwritten, according to their proportion of land in the aforesaid purchase. 2ly. That all we whose names ate underwritten, or the major part of us may transact any thing that we see cause in or about the aforesaid land. 3ly. That if any of us transact any thing about the aforesaid land, without the consent of the whole, or the major part, shall be disowned and of none effect. 4ly. That all charges that hath been already out about the aforesaid land, shall be repayed to the disbursers suddenly without delay, so soon as the disbursers bring us their account to the rest of the company. 5ly. That each of us whose names are here underwritten, or shall be hereafter added, shall bear equal charges to what have been out already, or shall be out hereafter, In any case about the land aforesaid, according to the proportion of land they have. 6Iy. That what changes shall be out from time to time, shall be brought in twenty days after they shall have warning from us or the major part of us. 71y. In case that any bring not their money as is above-said, nor give satisfaction to the company, shall forfeit their land, and what they have been out already. copy of the deed or any other writings that thereto belong, paying for the draught thereof. 9ly. The parties that have interest in the aforesaid land are, William Vaughan having a whole share, Robert Stanton having a whole share, Hugh Mosher having a whole share, John Fairfield having a whole share, James Longbottom baying a whole share, Shubal Painter having a whole share. lOly. Whosoever that we shall agree with, shall have a proportion of the land aforesaid, shall have the same privileges as ourselves, provided that according to his proportion he set to his band to these or the like articles. 11ly. That we shall meet to consult about the aforesaid land so often as occasion shall present, at William Vaughan’s house. l2ly. That to all the aforesaid articles we engage each to other to be faithful and true to perform the aforesaid articles that here Is above written, whereto we set to our hands. John Coggeshall, Antony Ravenscroft, Edward Smith, James Babcock, Sen’r. Crandall Ground (2): This is found about forty rods west of the Pound Road, and west of the Old Crandall house (now the residence of Mr. Charles Crandall), and without inclosure. None of the fifteen or twenty graves are lettered. Lydia Crandall, lst wife of Charles; John Crandall, son of Charles. During King Philip’s War, there were several deadly encounters that pitted colonist against colonist and even Native American against Native American. Ironically, King Philip was the name given the Native American leader named Metacom (Metacomet). 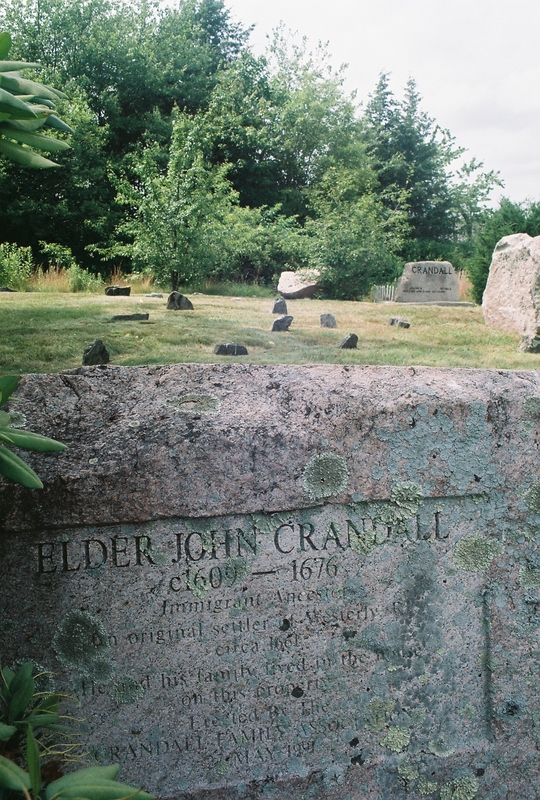 Legend has it that Elder John Crandall died as a result of an infection from wounds he suffered fighting with the Narragansetts against militia from Connecticut, Massachusetts and Plymouth and their Pequot and Mohican allies in the Great Swamp Fight in December of 1675. The tragic war claimed over 600 colonists and 3,000 Native American lives, caused devastating damage to the colonies and nearly wiped out the Narragansett and Wampanoag as organized tribes.